This weekend, 20-21 July 2013, we will be running our usual stall at the Lambeth Country Show in Brockwell Park, Brixton/Herne Hill SE24. We will be handing out information and maps and talking to local people about cycling. Do come and see us if you are visiting the Country Show. 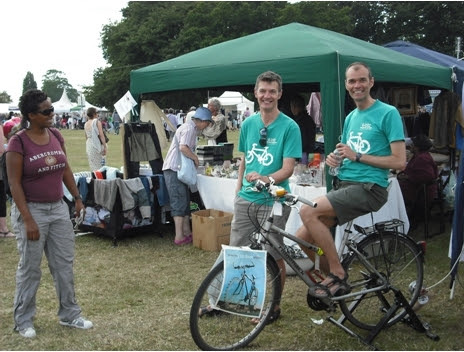 Volunteers wanted - could you spend an hour or two talking about cycling? We are also looking for volunteers for the day - could you help us for an hour or two on the stall? If so please email us with your contact details including phone number and when you would like to do it - we will be there approximately 11-7pm both days.